Finally, senior year of high school rolls around, and you couldn’t be more excited about the near-future prospects of college. However, with this excitement also comes responsibility, namely finding the right college for you. One of the best ways to do this is to visit a few campuses. You’ve probably already begun making plans for your pre-college road trip, but once you get where you’re going, what do you look for? 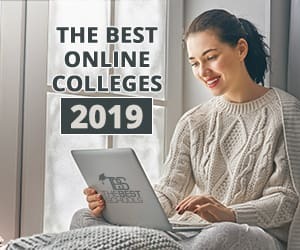 While it may seem like you have plenty of time to visit colleges at the beginning of the year, time flies by, so it’s important to start exploring colleges early. This will allow you to visit as many colleges as you need to find the right one for you. In addition, you can think through your options thoroughly by giving yourself more time to weigh the pros and cons you’ve identified during your visits. While making an actual visit is extremely beneficial, research colleges online before you visit them. How a campus looks online can give you a good picture about what student life is like, the vision of the college as a whole, and if that school could potentially match your wants. In addition, if you’ve already selected a major, you can do preemptive investigation into the facilities for your chosen course of study. This way, when you get to campus, you’ll know exactly where to go to visit the facilities you’ll be using. As stated above, it’s essential to see if the college has your major. Then, it’s important to experience the classes first-hand and connect with professors. When you schedule your college visit, sit in on a class and see what the atmosphere is like. For example, if you have liberal beliefs and a majority of the professors are conservative, it might not be the right college for you. In addition, make sure your area of interest is academically strong enough at your college to ensure the quality education you need. If you don’t have a major picked out, exploring academic departments is still a good idea as you will see what classes are like and how the college is run. This may even help you to arrive at a major that interests you. One of the most important parts of any college experience is the friendships and relationships you will make. During college visits, talk to the students on campus. Observe what they are like and consider how well you would fit in. Obviously, many different personality types exist at a college, but getting to know students there will give you a feel for the campus culture. A great firsthand experience is to visit a student center or dining hall. These areas are usually a relaxed setting where students feel free to be themselves. You can observe how students interact, which will form an important aspect of your college experience. See if these interactions align with your social and recreational expectations. If not, the campus in question may be the wrong fit for you. While it would be amazing to pick a college simply based on how well you like it, money is important too. Some compromises might be necessary; you don’t want to be drowning in debt for the rest of your life. Talk to admissions counselors and attend a financial aid meeting while you’re on campus. This will help you make better sense of the financial aid packages the college offers. You might adore the campus, but your final school choice needs to work within the scope of your financial circumstances and plans. Before you visit colleges, know what’s important to you. Do you want to attend a small, private college or a big, public university? Do you want to be close to home or far away? Making a list of priorities is a smart way to narrow your college options and will ultimately help you make the right choice. Some of your priorities won’t be obvious immediately but might become apparent as you visit campuses and see what you value most. However, before you visit colleges, make a list of questions about what is important to you and seek answers during your visit. Where you attend college is a big decision, one of the biggest you’ll make up to this point in your life. Use your campus visits to gather all the information you’ll need to make a well informed decision. Got more questions? We’ve got answers! Check here for more helpful tips on what every student should know.